This morning God put it on my heart to talk about the many distractions that fight for our attention. Those that come to derail us because we are in pursuit of our purpose, because we are in pursuit of Him. We must understand that the war is not coming for us…but coming to “use” us. It’s coming to steal, kill and destroy what is most precious to God…His children. 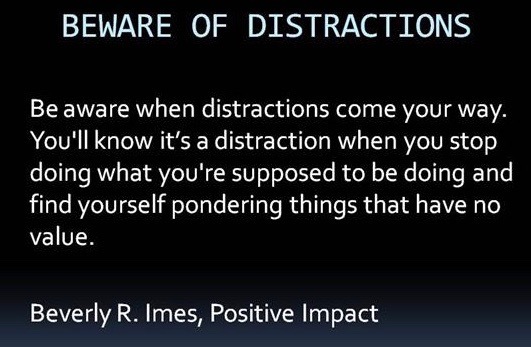 Google defines distraction as “a thing that prevents someone from giving full attention to something else”. That’s exactly what distractions are all about…preventing us from giving “full attention” to God the Almighty, God the Father, God the Healer, God the Creator, and God the Savor. 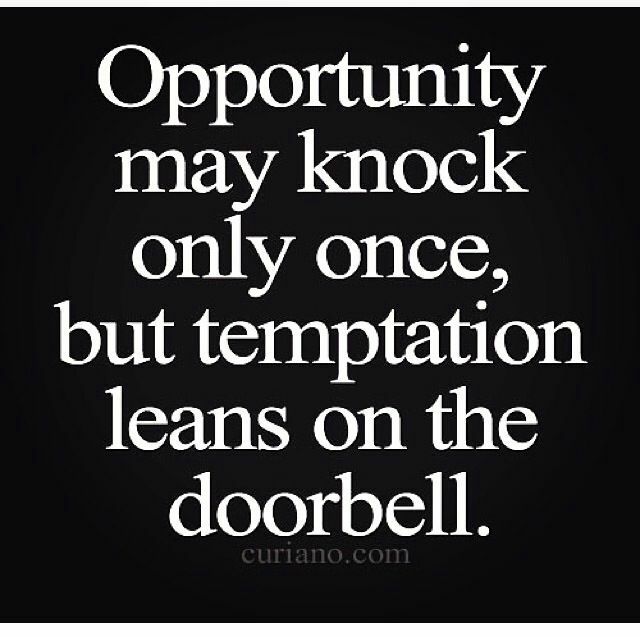 Beware of distractions that come your way. “And this I speak for your own profit; not that I may cast a snare upon you, but for that which is comely, and that ye may attend upon the Lord without distraction.” God knows we come up against distractions each and everyday that’s why Paul was warning the church. We need to give God our undivided attention. It is required and necessary for the war raging all around us. 1 Peter 5:8 (KJV) tells us to “Be sober, be vigilant; because your adversary the devil walks about like a roaring lion, seeking whom he may devour.” Peter was telling us to always be on guard, you are at war. The strategy behind war is to render the enemy helpless and impotent, to wear you down into submission. For you to give up and concede to what every the enemy wants you to do, to devour you if necessary. Wars don’t take breaks, they don’t stop so you can eat, sleep and rest. They are non stop day and night; night and day, to cause a constant drain on your emotional state. Make no mistake about it we are at WAR. We war for our souls and the souls of our love ones. We must stay prayed up day and night; night and day. You can always call on the name of God the Father. When you feel distant from God, call on His name in loving trust to restore your focus and awareness of Him and His Presence. Call on His name to give you strength to fight this war that rages all around us. It’s something we all must do each and everyday, multiple times a day. 2 Samuel 22:4 says, “I call upon the LORD, who is worthy to be praised, And I am saved from my enemies. Here are 58 bible verses that call on the name of God from the website “Knowing Jesus”. http://bible.knowing-jesus.com/topics/Calling-Upon-God that you can use and reference.